[S6] G.E. Cokayne; with Vicary Gibbs, H.A. Doubleday, Geoffrey H. White, Duncan Warrand and Lord Howard de Walden, editors, The Complete Peerage of England, Scotland, Ireland, Great Britain and the United Kingdom, Extant, Extinct or Dormant, new ed., 13 volumes in 14 (1910-1959; reprint in 6 volumes, Gloucester, U.K.: Alan Sutton Publishing, 2000), volume I, page 330. Hereinafter cited as The Complete Peerage. [S6] Cokayne, and others, The Complete Peerage, volume III, page 176. [S6] G.E. Cokayne; with Vicary Gibbs, H.A. Doubleday, Geoffrey H. White, Duncan Warrand and Lord Howard de Walden, editors, The Complete Peerage of England, Scotland, Ireland, Great Britain and the United Kingdom, Extant, Extinct or Dormant, new ed., 13 volumes in 14 (1910-1959; reprint in 6 volumes, Gloucester, U.K.: Alan Sutton Publishing, 2000), volume III, page 176. Hereinafter cited as The Complete Peerage. 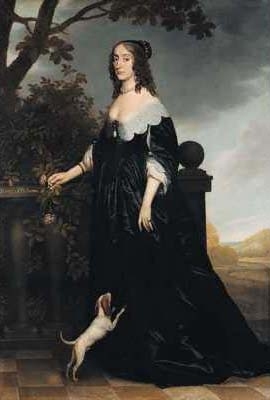 [S11] Alison Weir, Britain's Royal Families, page 249. [S323] Sir James Balfour Paul, The Scots Peerage, volume I, page 27. 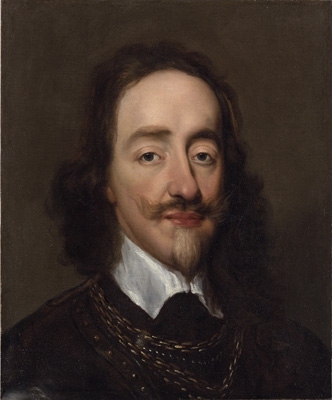 Charles I Stuart, King of Great Britain was born on 19 November 1600 at Dunfermline Palace, Dunfermline, Fife, ScotlandG.3 He was the son of James I Charles Stuart, King of Great Britain and Anne Oldenburg, Princess of Denmark. 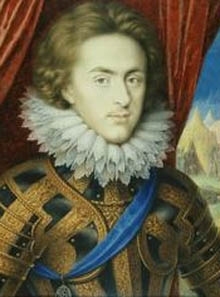 He was baptised on 23 December 1600.3 He married Henriette Marie de Bourbon, Princesse de France, daughter of Henri IV, Roi de France and Marie de Medici, on 13 June 1625 at St. Augustine's Church, Canterbury, Kent, EnglandG.4 He married Henriette Marie de Bourbon, Princesse de France, daughter of Henri IV, Roi de France and Marie de Medici, on 1 May 1625 at Notre Dame Cathedral, Paris, FranceG, in a proxy marriage.5 He died on 30 January 1649 at age 48 at Whitehall Palace, Whitehall, London, EnglandG, by a public beheading.6 He was buried on 7 February 1649 at Henry VIII vault, Windsor, Berkshire, EnglandG. 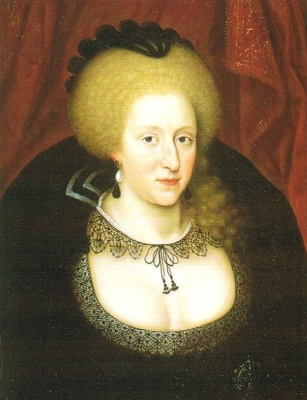 [S11] Alison Weir, Britain's Royal Families, page 253. [S18] Matthew H.C.G., editor, Dictionary of National Biography on CD-ROM (Oxford, U.K.: Oxford University Press, 1995), reference "Charles I, 1600-1649". Hereinafter cited as Dictionary of National Biography. He was a member of the House of Wittelsbach.7 He succeeded as the Kurfürst von der Pfalz in 1610.5 He succeeded as the King Friedrich V of Bohemia in 1619.5 He was deposed as King of Bohemia in 1620. 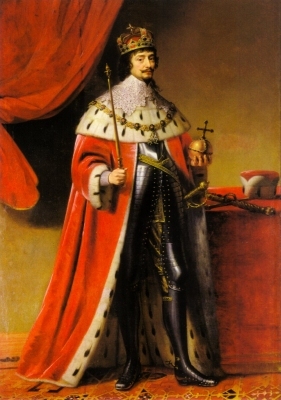 He was deposed as Kurfürst von der Pfalz in 1623.